The storm hit a few months later when I attended a writer’s conference. I thought everything was still sunny when a big publisher requested my manuscript. I went back to my bunk to smile at the ceiling, but my Bible was on my bunk, and I hadn’t read it yet that day. I determined to show him how much I loved him. I read all the books. Love Dare. Power of a Praying Wife. Love Must be Tough. I was going to save my marriage. I even offered to stop writing because when he finally did confess to the affair that started while I was gone, he said I’d had an affair first—with my writing. No matter what I did, I wasn’t enough for him. In his own words, he hated me. He took my name off the bank account so I had no income. I had no home and moved into a friend’s basement. I had no desire to write romance anymore, so I parted ways with my agent. I even lost my kids a percentage of the time. God was my all. I knew this because I had nothing else. And because He met me everywhere. It was not. It was a man I was afraid to love because I didn’t know if God would take him away from me too. I thought maybe my test wasn’t over. Or I’d failed it. Jim would say, “You are a gift from God,” and I couldn’t say it in return. Then in prayer one day I started thinking about how the Bible says all good gifts are from God. I flipped to my concordance and looked up every verse with the word “good” in it. He hadn’t given me a test because I asked for it. He prepared me for it with the reminder that He was my all. Life is good again. Because God is good. I’m also writing romance again. Sharing how love changed my life. 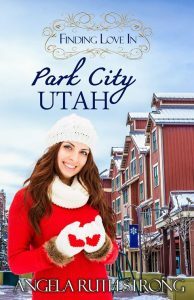 My novel Finding Love in Park City, Utah is very similar to my own experience, and I pray readers find hope in my story for their own lives. This is what Tricia encourages us to do in her book Walk It Out. In the chapter titled A Story Worth Telling, she says, “Through the years as I studied God’s word and grew as a Christian, I knew that transformation in my heart wasn’t something to keep to myself.” Even though I’ve already read much of Tricia’s non-fiction, her stories of transformation continue to inspire. 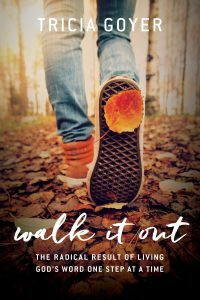 No matter where you are in your walk, this book offers something for everyone. We can all live hopefully ever after. C.J. Lancaster’s job as a tabloid journalist takes her to the Sundance Film Festival with the goal of interviewing a particular actress. She tries to charm her way past the movie star’s youngest brother-in-law, Sam, and somehow ends up on an “undate” with him. If C.J. were ready to date, the fun-loving veteran would be her first choice, but as she’s still healing from her ex’s affair, she knows they’ll both be better off once she scares her new “friendboy” away. Sam Lake is more intrigued than scared. He’s never had to pursue a woman before, and he can’t get this one out of his mind. Whether it’s how she also likes to eat ice cream in winter or the way she gets his nieces and nephews to gang up on him in a snowball fight, he feels more at home with her than his oversized family. But when his own issues arise, he realizes C.J. might be right about avoiding a relationship with him. Can the two of them overcome emotional mountains in their lives to be together, or will they remain a “noncouple” forever? 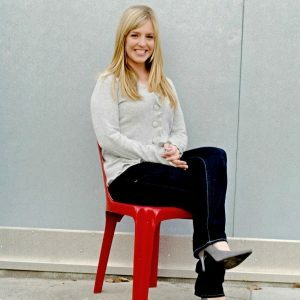 Angela Ruth Strong studied journalism at the University of Oregon and published her debut novel, Love Finds You in Sun Valley, Idaho, in 2010. She has since rereleased it as the first in the Resort to Love series. She also released her first Love Inspired Suspense in February. The Idaho Top Author and Cascade Award winner started IDAhope Writers to encourage other aspiring authors. 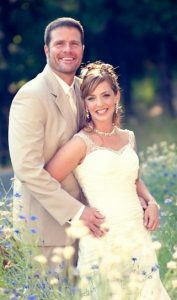 She currently lives in Idaho with her husband and three teenagers where she teaches yoga and works as a ticket agent for an airline when not writing. Thank you so much for sharing your story and your heart, Angela!! God is so amazing. His plans are always the best. He is always with us, in good times and in bad times. Angela, thank you for sharing your heart with us. He always has a Plan A for our Plan B. I am thankful.